3D printer manufacturer voxeljet has already built a reputation for giant, high-speed 3D printers. So far, their printers have been used mostly for tooling and pattern making applications, but now the company is about to enter the growing ranks of 3D printer manufacturers that produce technology for 3D printing end use thermoplastic parts. In November at formnext 2017, voxeljet will be formally introducing a new 3D printing system that utilizes their new High Speed Sintering (HSS) technology. HSS is similar to binder jetting, voxeljet’s main technology. In the HSS process, an infrared absorbing ink is selectively jetted onto layers of plastic powder, which are then exposed to infrared light. The light melts the powder to form functional plastic parts with qualities similar to those produced through Selective Laser Sintering, Multi Jet Fusion, or injection molding. Parts 3D printed with HSS technology are said to offer excellent surface quality, high resolution detail, and sharp, clear edges. Users can produce parts such as brackets, housings and other fully functional parts for end use. Like voxeljet’s other 3D printers, the VX200 system is also extremely fast. The introduction of HSS technology is another step in the transformation of 3D printing from a prototyping to a production technology. It wasn’t long ago that plastic 3D printed parts were relegated to prototypes only, but with the development of technology such as Carbon’s CLIP, HP’s Multi Jet Fusion and now voxeljet’s High Speed Sintering, polymer-based 3D printing is becoming more and more frequently seen as a means of producing engineering-grade, end-use parts. Companies are beginning to shift their focus towards production rather than prototyping technologies, and voxeljet certainly won’t be the last to come out with a new technology capable of producing end-use plastic parts in the near future. voxeljet will be officially unveiling High Speed Sintering and the VX200 3D printer at formnext, which is taking place in Frankfurt from November 14th to 17th. 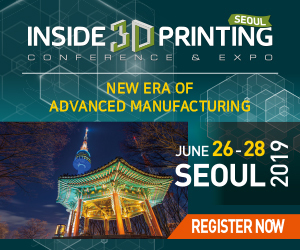 3DPrint.com will be there, and we look forward to learning more about this new 3D printer and 3D printing technology when voxeljet introduces them to the public. Discuss this article and other 3D printing topics at 3DPrintBoard.com, or share your comments below.